SUPERSTAY 10H TINT GLOSS. 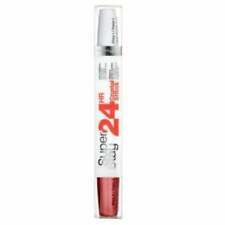 Maybelline Super Stay 10 Hour Lip Tint Gloss is a long-lasting vibrant lip colour that lasts as long as you do. 370 INFINITE MAUVE. Maybelline Super Stay Matte Ink. rrp £9.99 each. shade is # 100 PHILOSOPHER. Color Sensational by Maybelline Lipstain Plum Flushed #380 . Love your long lasting lip colours?. No scrubbing involved. Perfect combo for removing Maybelline Superstay products at the end of the evening! 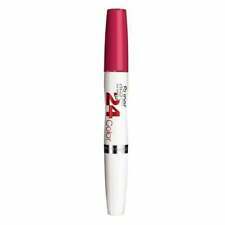 Perfect For Erasing Long Lasting Lip Colour. TANNING & FAKE TAN. SUPERSTAY 10H TINT GLOSS. Maybelline Super Stay 10 Hour Lip Tint Gloss is a long-lasting vibrant lip colour that lasts as long as you do. Lasting colour vibrant sheen. Shine enhancing formula glides on lightweight color that won't dry out. • Glides on wet and smooth, never drags. • Shine enhan cing formula provides a lightweight layer of lasting color. China Glaze Gel Polish. Maybelline Make-up. China Glaze. Gel Polish (UV/LED). Gel & Dipping Kits. Artistic Colour Gloss. Artistic Colour Revolution. remains at the forefront of the beauty and nail care sector. Maybelline Color Sensational Lipstain - 2 Different Colours - BRAND NEW! Lasting color. Vibrant sheen. 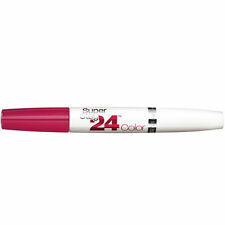 Using the wand, apply your lipcolor by starting in the center of your upper lip. Work from the center to the outer edges of your lip, following the contours of your mouth. Maybelline SuperStay 10Hr Lip Stain Gloss. The first 10HR Stain Gloss! Colour: 170 Pleasing Plum. •Shine enhancing formula provides a lightweight layer of lasting colour. •10 long-lasting shades. Full Size! Full sized. Fresh, barely-there feel from vitamin-enriched berry nectar. Maybelline SuperStay 10Hr Lip Stain Gloss. The first 10HR Stain Gloss! Colour: 130 Refreshing Red. •Glides on wet and smooth, never drags. •Shine enhancing formula provides a lightweight layer of lasting colour. Maybelline SuperStay 10Hr Lip Stain Gloss. The first 10HR Stain Gloss! Colour: 140 Ruby Indulgence. •Shine enhancing formula provides a lightweight layer of lasting colour. Full Size! Maybelline SuperStay 10Hr Lip Stain Gloss. The first 10HR Stain Gloss! Colour: 110 Fresh Fuchsia. •Glides on wet and smooth, never drags. •Shine enhancing formula provides a lightweight layer of lasting colour. Maybelline SuperStay 10Hr Lip Stain Gloss. The first 10HR Stain Gloss! Colour: 160 Luxurious Lilac. •Glides on wet and smooth, never drags. •Shine enhancing formula provides a lightweight layer of lasting colour. 3 X Maybelline SuperStay 10Hr Lip Stain Gloss - 150 Cool Coral - Free Post! Maybelline SuperStay 10Hr Lip Stain Gloss. The first 10HR Stain Gloss! Colour: 150 Cool Coral. •Glides on wet and smooth, never drags. •Shine enhancing formula provides a lightweight layer of lasting colour. 4 X Maybelline SuperStay 10Hr Lip Stain Gloss - Assorted Colours - Free Post! Maybelline SuperStay 10Hr Lip Stain Gloss. The first 10HR Stain Gloss! Colours: Includes Assorted colours, all different shades! •Glides on wet and smooth, never drags. •Shine enhancing formula provides a lightweight layer of lasting colour.